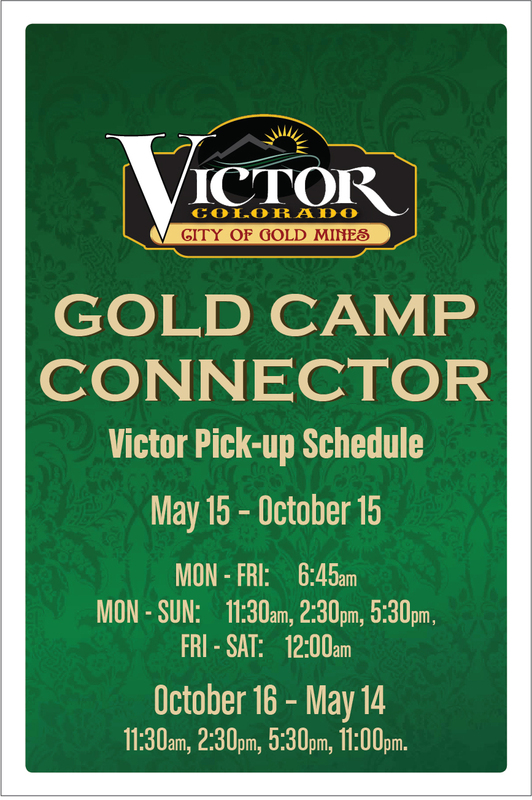 The Aspen Mine Center, 166 E. Bennett Ave.
May 15–October 15: 6:15 a.m., 11:15 a.m.
October 16–May 14: 11:15 a.m., 2:15 p.m.
October 16–May 14: 11:30 a.m., 2:30 p.m., 5:30 p.m., 11:00 p.m.
For additional information or Cripple Creek transportation info, click here. • Children 12 and under if they are accompanied by an adult. If they are alone, the cost is $1.00. City of Victor owns Bison Reservoir on the southern slope of Pikes Peak which is used for the City’s water storage. 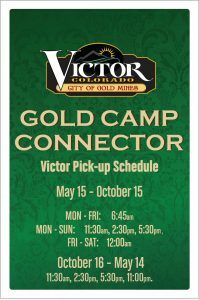 The City has historically leased the reservoir to a private fishing club, the Gold Camp Fishing Club, for the six month period of May 1 through October 31 annually. The club stocks the reservoir with native fish and maintains the area immediately surrounding the shoreline. Facilities include a campground with space for several campers and tents, two rustic cabins that are available for overnight accommodations, and many developed shoreline picnic/fishing areas. 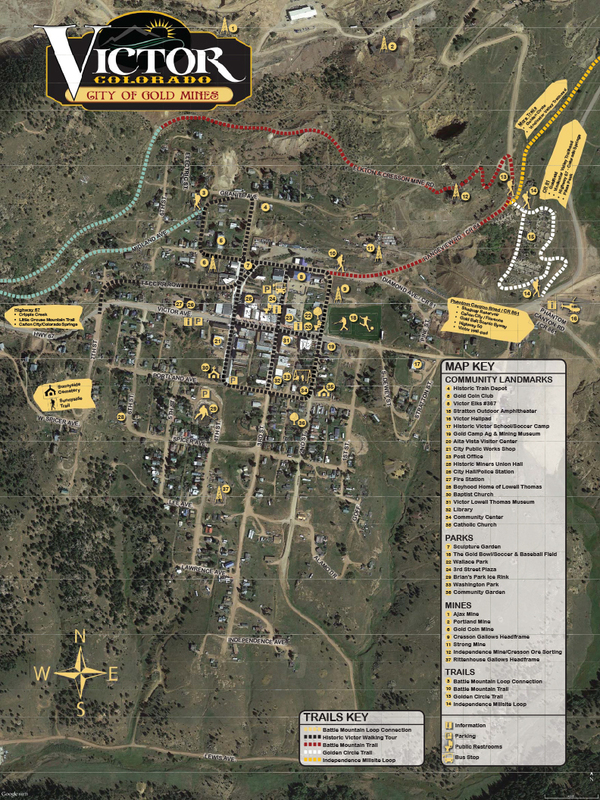 Access to the reservoir is limited to members of the Gold Camp Fishing Club only through two locked gates off of Teller County Highway 81.